In the years before entering into the new millennium, Nike, as did many other big corporations, were thinking how to celebrate this unique moment, and how to thank all the people that supported them over the years. A lot of ideas passed the table. From calendars to a recompilation of legendary nike spots for television. 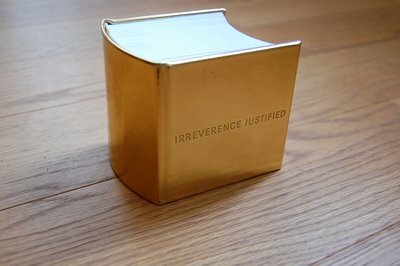 At the end, they did go for a book, since it has the big advantage to be able to give it, and a as result “Irreverence Justified” (check that link, it occasionally appears on eBay) was born. A massive book, almost literally like brick, which has become one of the most looked after collectors items for every Nike collector. But not just a “book”. Nike wouldn’t be Nike, to transform this pile of paper in a work of art, beginning with the cover. The golden shine of the book cover comes from the use of the material “PU Sparkle Leather code number gold 6002”, which is the same material used for the shoes in which Michel Johnson set the 200 Mt. World Record. 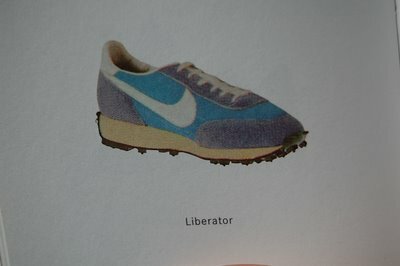 Nike used in fact what had left over by the production of Johnsons golden shoes, which make the book even more special. 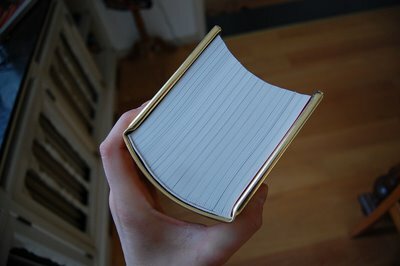 Now, what’s the book about? 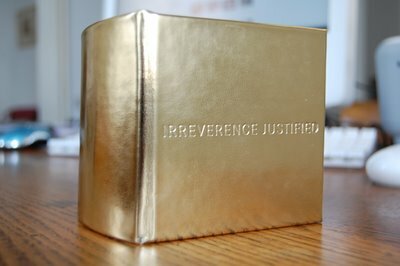 What it makes even more sought after, is that Nike only did 2000 exemplar’s of IJ, each hand numbered. IJ wasn’t for sale either. Each of the 2000 exemplars went to important “cultural” leaders or important people out of the Nike family. As a fact, Phil Knight received copy number 1 of IJ. Is this book worth all the hype, taking it almost to a mythical “holy grail” like level? The books give a stunning overview of more then 30 years of Nike history. 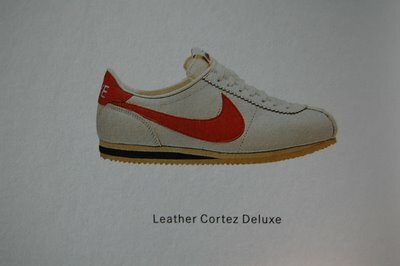 Being myself a collector of Vintage Nike shoes, I came across of a lot of shoes I even never heard off. The Nike LD1000, the Nik Smoke, etc.. shoes that are by most of us long forgotten (inside as outside Nike), but are worth being dusted of. 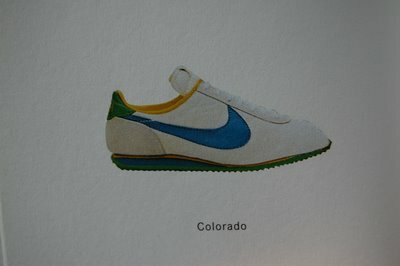 In a sense, Nike made a sort of corporate history, since the effort they did, to find all the shoes was nerve breaking. 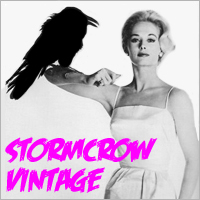 A lot of the shoes didn’t just exist anymore, so they had to do it with scans from old and even “older” catalogs. Eight years after release, it’s becoming hard to come across a copy, since most of the copies of IJ ended up in the hands of people who will never ‘(or not soon at least) part from it. 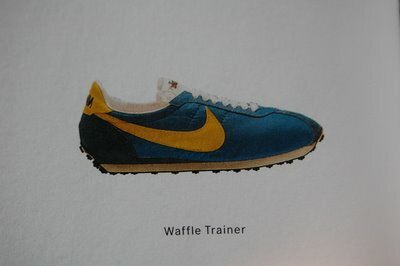 the next coming weeks, i will post som more pictures of rare nike shoes that appeared in the IJ… here are already a few….